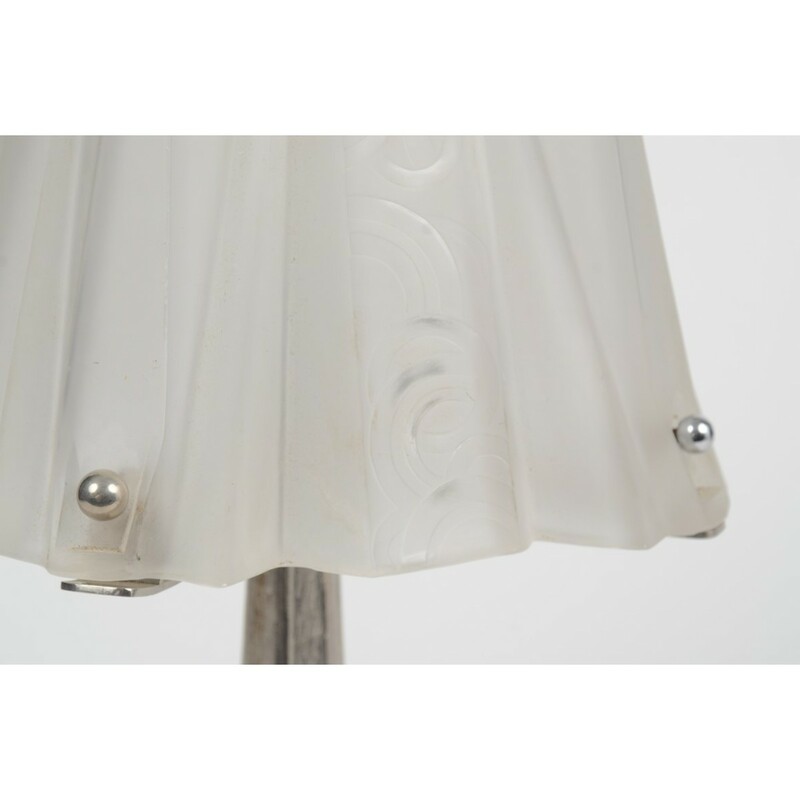 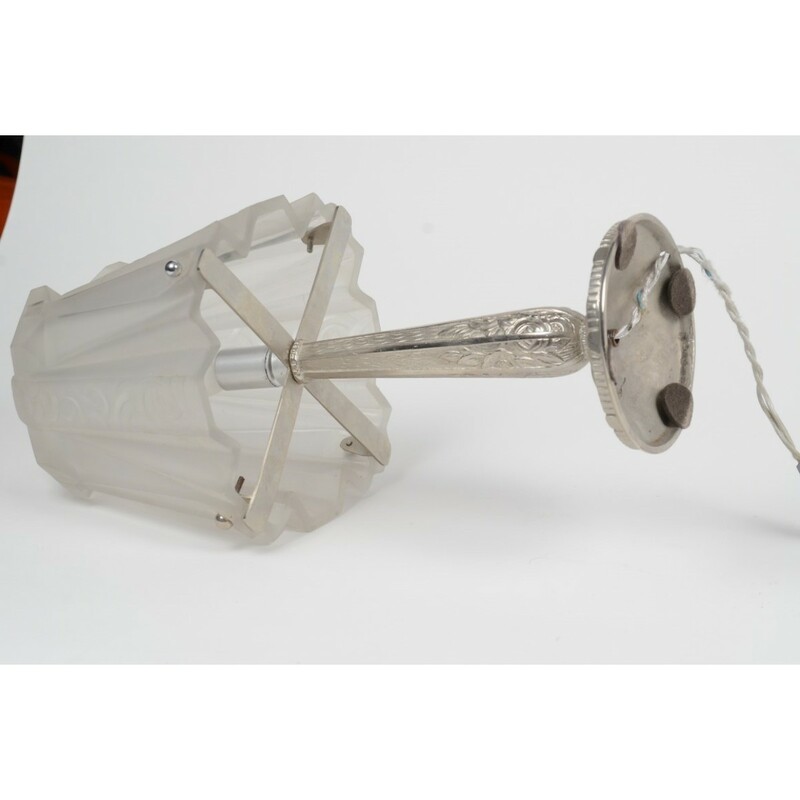 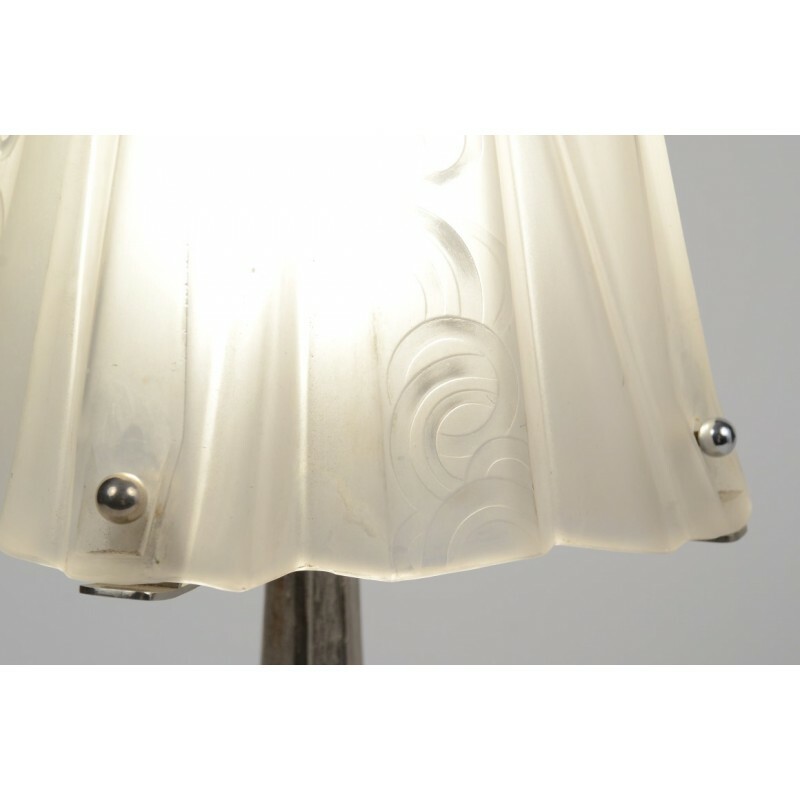 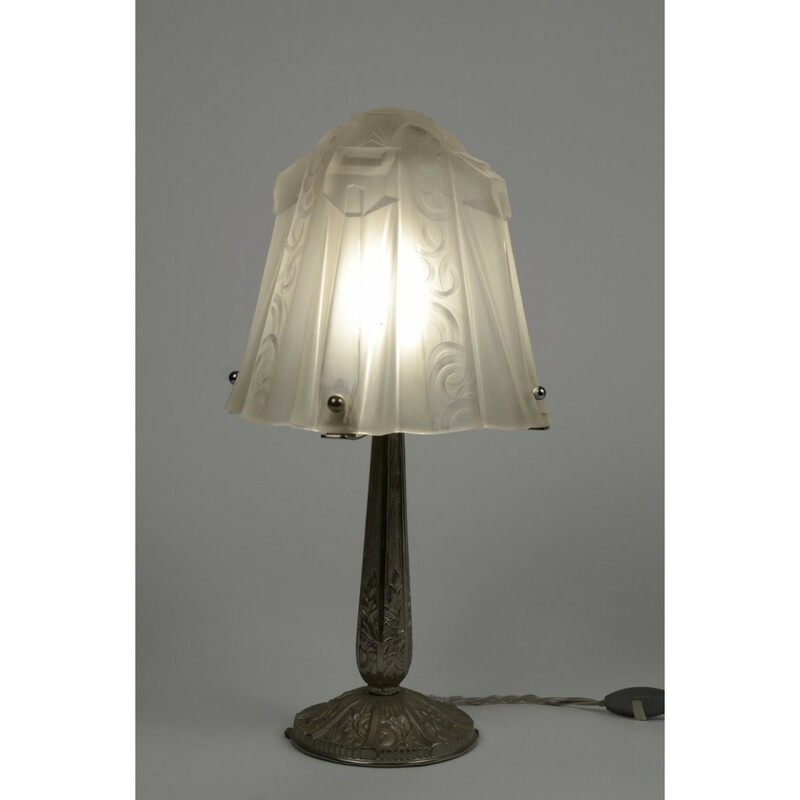 A very rare and simply magnificent Art Deco desk lamp by the famous designer Muller Ferrer! 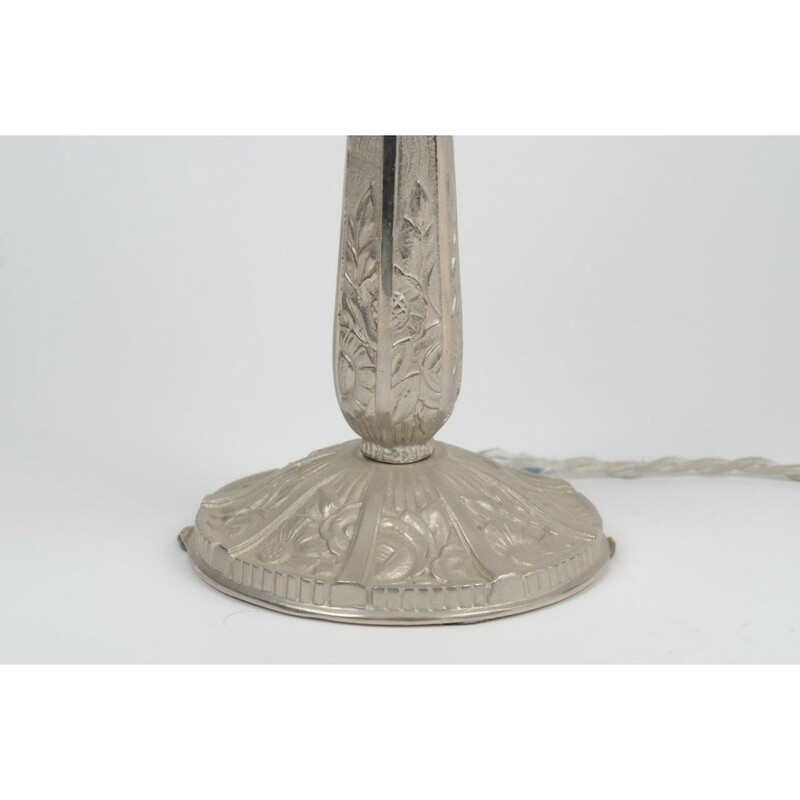 It features a bronze plated leg with ornaments of flowers, and a glazed white glass that has a special geometric shape and features abstract ornaments. 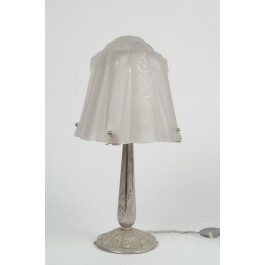 It was made in 1925.A must have collector's item!